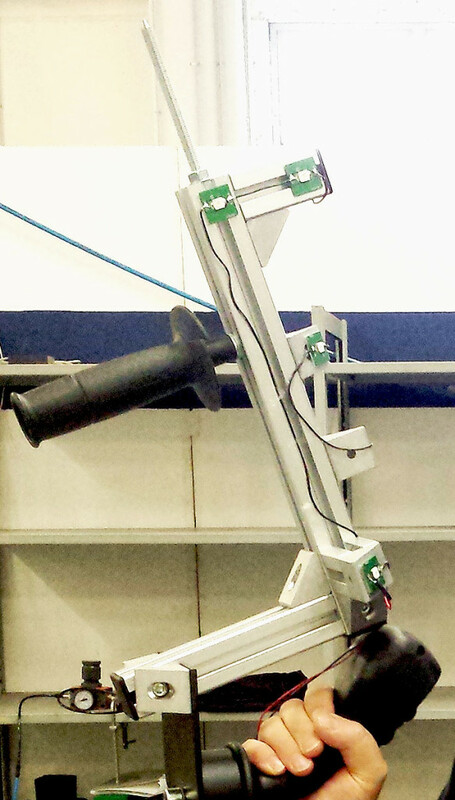 This technology may be applied to robotic spraying, sandblasting, shootpeening and cleaning. The system consists of one or more camera pairs that frame the scene, a special detecting device which is handled by the operator and EasyTeach processing software. Custom designed handgrip allows operators to manage registration of a new trajectory without the need to access workcell computer. 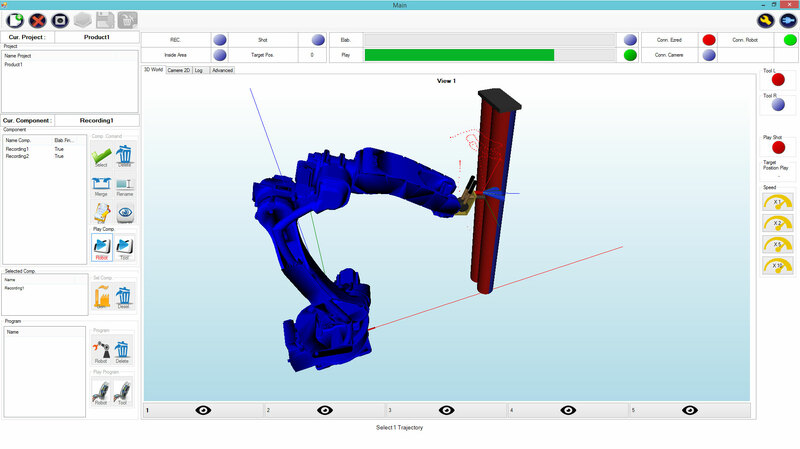 This software allows intuitive creation of a new product and acquisition of trajectories that robot has to perform during the process. 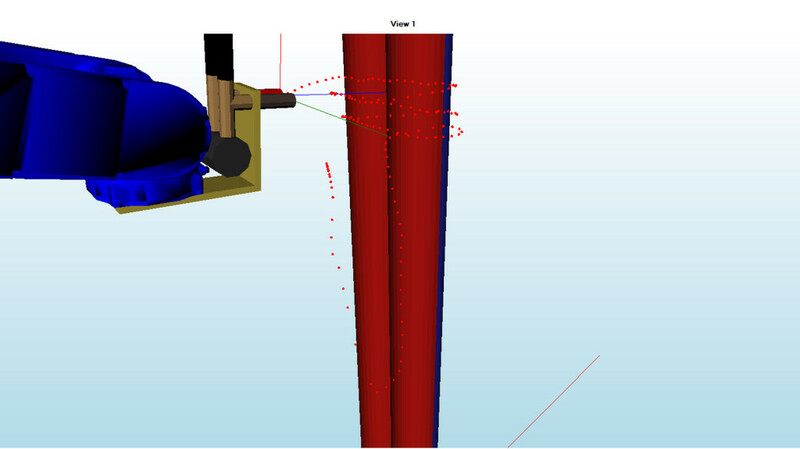 With a few simple steps those trajectories may be reviewed in a 3D simulated world and may be modified and combined with each other to build a complex process. When the required path is obtained EasyTeach generates a robot program which is sent to a workcell for the actual production process. The detecting device shows a certain number of infrared light emitters which are detected by cameras to enable the reconstruction of movements in a volume. On the following image we may see a moment of processing of the trajectory obtained by operator: the bright outstanding points which you may notice in this black images are the points generated by the infrared light emitter of the detecting device. 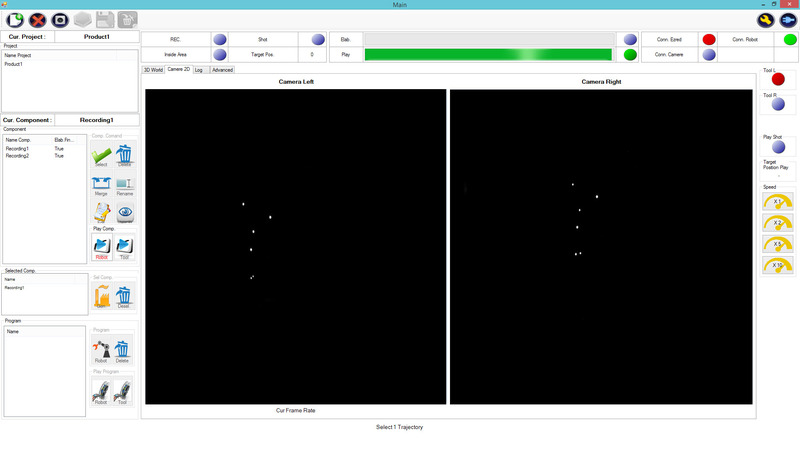 Apparently similar, these two points of view allow to EasyTeach to reconstruct the movement in a space of the detecting device through triangulation of emitters. Processing result can be shown in simulation and is represented by red dots in the image below. If the operator is satisfied with obtained trajectories he can merge them and then send generated robot program directly to the workcell.